There’s a common scam in China where a seemingly-friendly Chinese person will approach you and invite you to try a teahouse. You’ll go and have a cup or two, but at the end you’ll end up with an exorbitant bill totaling 600RMB or more. If you try to leave, the owners will accuse you of trying to run without paying the bill, and they’ll threaten to call the police. And there may even be people blocking the exit, forcing you to pay through intimidation. Most tourists, not trusting the local law enforcement, end up paying to get out. My friends and I were exploring Yu Garden, and we thought it would be nice to visit a teahouse. Not wanting to end up in a shady place, we consulted a Lonely Planet guidebook, which recommended Old Shanghai Teahouse. Side note, I never understood why the metro stop is listed as Yuyuan Garden. It’s redundant, as yuán already means garden in Chinese. 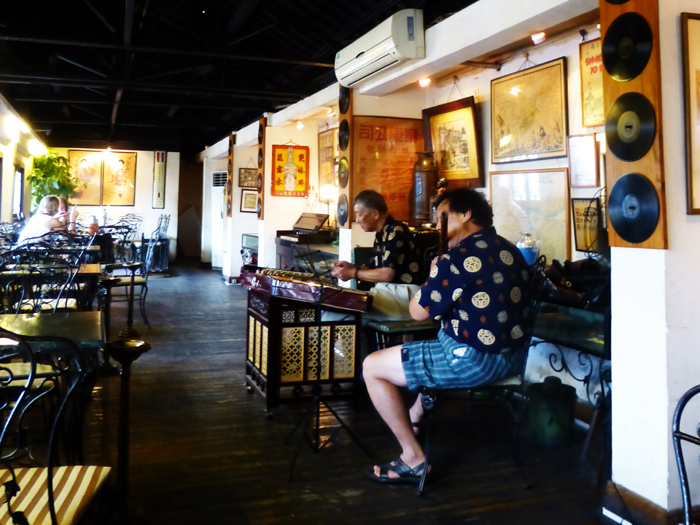 Old Shanghai Teahouse is decorated with lots of memorabilia from the 1940s, and on the day we visited we were graced with relaxing music from two gentlemen who apparently only play in the teahouse for a couple of hours in the mornings. It’s great when you can become a regular at a food institution. I have yet to reach that status anywhere, but I always flash to those movie scenes where someone sits at a diner or a bar and just says, “The usual.” To me, there’s just something appealing about going to a restaurant where everyone knows you and you know everyone. 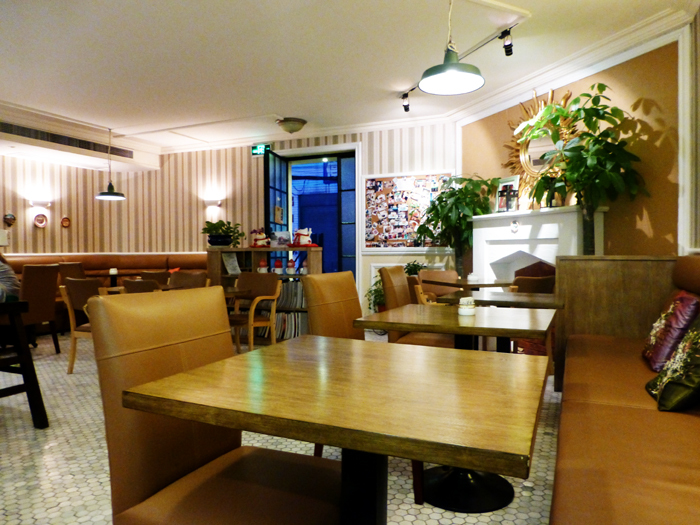 In Shanghai, one of my friends has actually reached that status at a restaurant nearby our dorms: Boom Café. She often misses Western-style food, and Boom Café provides just the fix she needs. Plus, its convenient location means that she can stop by on the way back from school anytime she wants. Boom Café also has a lot of odds and ends that would appeal to college students. There were books on the shelves with strange subjects, a pet turtle, and games. 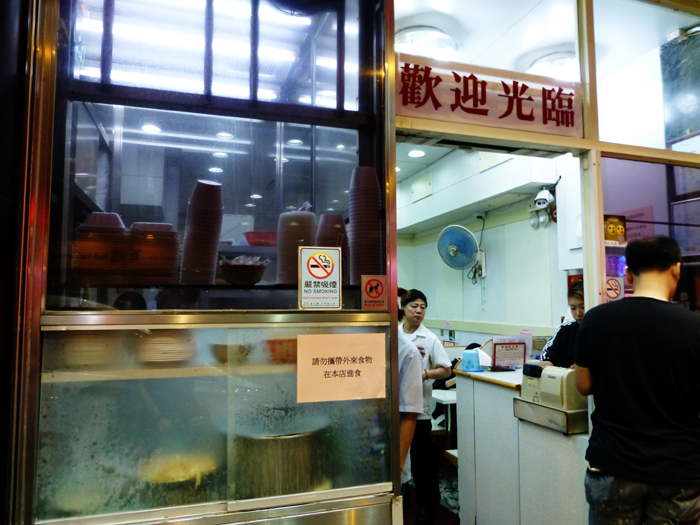 Hong Kong should be, in my opinion, a definite destination for anyone who loves to eat. Hong Kong is so densely populated, so there are endless amounts of food options. As a result, restaurants are forced to focus on quality because they know that customers won’t have to walk far to find an alternative. Because I have family in Hong Kong, I’ve had the fortunate opportunity to travel there many times in the past. Studying abroad in Shanghai, though, gave me another excuse to visit again as a weekend trip. Plus, I was required to leave China at least once in order to fulfill visa requirements, so I obviously picked my destination based on food offerings. With such a short stay, I asked for restaurant suggestions from family and friends. My dad recommended Mak Man Kee to me, and, seeing that he grew up in Hong Kong, I considered him a pretty reliable source. Also, my dad from time to time proclaims that eating (not gourmet eating but just eating in general) is his hobby, but he’s pretty low-key when it comes to food: he prefers a bowl of rice to accompany every meal and likes to eat dai pai dong food over fancier dishes. So knowing my dad’s preferences, I expected a no-fuss restaurant. Whenever you’re abroad, there will most certainly be times when you suddenly crave food from home. Maybe it’s something that can’t be found where you live, is too expensive because it’s considered foreign, or doesn’t taste the same as the local variety. Sometimes, it’ll be your mother’s cooking, a specific cereal brand, or a particular ethnic dish. Either way, it’ll be a food craving that will only continue to grow until satisfied. For me, I had a burning yearning for pancakes. From my previous reviews and recipes, you can probably guess that pancakes rank pretty high on my breakfast food list. But when people think of pancakes in China, they may first think of scallion pancakes or the thin egg pancakes from the early-morning food carts. Shanghai’s strong penchant to adopt Western ideas and customs, though, means that American-style pancakes aren’t non-existent in China. If you ever have pancake cravings in Shanghai, Mr. Pancake House is the place to go if you are price conscious. 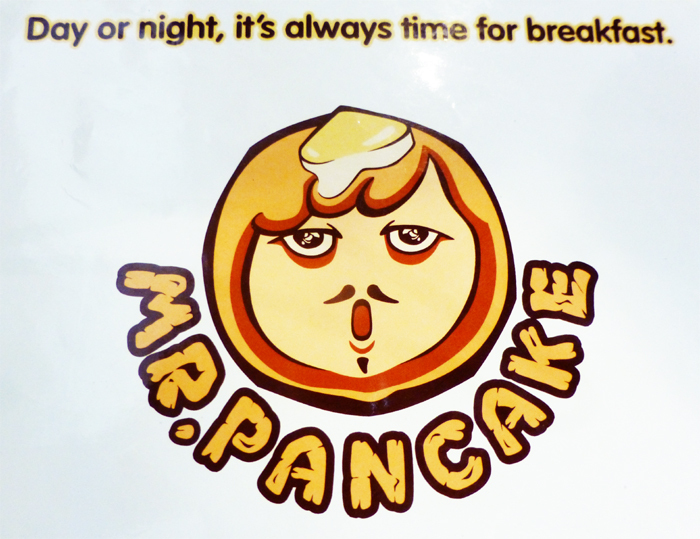 Its slogan – “Day or night – it’s always time for breakfast” – hits the nail right on the head. Plus, their pancake man reminds me of the clock in Beauty and the Beast. When I was in high school, I went through a phase in which I would only bring bagels or Wheat Thins for lunch because I could conveniently eat them during class. For some reason, I was never hungry during the school’s designated lunch break. So imagine a student in a statistics or biology class diligently taking notes with one hand yet shoving a bagel or crackers into her mouth with her other hand. That was basically me for half of my high-school career. This semester, I have class from 11 AM to 4 PM. With only fifteen-minute breaks in between classes, my “lunch break” is a small window of time, so I opt to bring lunch. 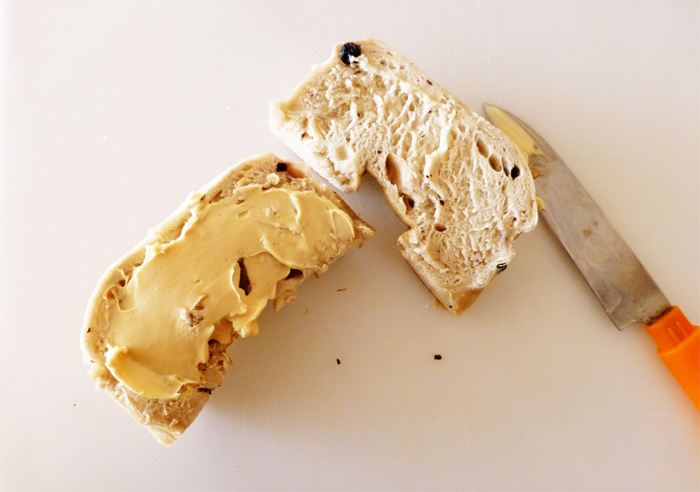 But laziness soon kicked in, and I quickly lost motivation to continue making elaborate sandwiches every week. When I found out about Spread the Bagel – a bagel delivery service in Shanghai, memories of eating lunch in class came back.